Random thoughts for a Tuesday morning, still missing Vin Scully calling Dodger games on television, wondering whatever happened to Kerry Cruz, runner-up in the 1991 CIF-SS boys tennis singles, of Apple Valley High School. Where has all the time gone? It seems like it was just yesterday when we started to follow a young and very talented boxer out of Pomona who enjoyed an extremely amateur career with his father as his coach. In fact, it was 1989 when “Sugar” Shane Mosley burst on the national scene by winning the U.S. amateur lightweight title. Since then, Mosley pieced together a 47-9-1 (39 knockouts) record, winning three world championships, many with father Jack in his corner serving in some capacity. He was the pride of P-Town, often giving out the shout-out during his televised bouts. 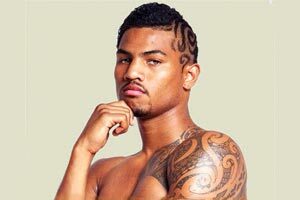 On Saturday, Shane Mosley Jr. will make his professional debut at the Oceanview Pavilion in Port Hueneme after a 37-10 amateur mark (as opposed to his father’s 230-16 record). And taking a page out of the history book, the elder Shane Mosley will be in his corner as his manager. Young Shane had best be prepared for anything as his opponent for the 162-pound middleweight bout produced by Top Rank and Bash Boxing has not being named. The Mosleys have different styles, but a similar drive. “The way I am different, is that I am taller and longer, so I have to fight a different style,” said the 2009 graduate of Bonita High School. “The similarities are that I punch hard, and I am tough. I have hit the mitts with other trainers, but I know my father has my best interest at heart, and he has experience at the top level. Like what Floyd Mayweather Jr. has with Roger. And there’s another thing Junior has learned from his father, whose last bout was in 2013. There was a change in leadership this spring at the University of Redlands softball program, but not a change in results during the SCIAC season. Of course there were concerns when Nevarez resigned last year to take the head coaching job at Cal State San Marcos. Nevarez is credited with putting the Redlands’ program on top, posting nine consecutive SCIAC championships. One of her assistants, Danielle Spaulding was selected as the interim head coach. The school will need to reconsider that title. Spaulding, an Etiwanda High School graduate and two-time Atlantic Coast Conference player of the year at North Carolina, directed the Bulldogs to their 10th straight title with a 27-11 overall record and 23-5 in conference. Not a bad mark considering the expectations and pressure. Redlands will be idle until the SCIAC Postseason Tournament opens a three-day run, beginning May 2, at the Bulldogs’ field. John Ulrich, who has put together the three-race Superbike Challenge that will kickoff Sunday at Auto Club Speedway, is perhaps one of the greatest proponents for motorcycle racing in the country. He has quite a history in the sport, starting back in 1973 as a competitor in the sport while residing in Ontario. Who has competed in motorcycle races at Riverside International Raceway, Ontario Motor Speedway and Auto Club Speedway? Not exactly the culture an aggressive football coach wants. Dropping an intercollegiate sport is never easy for any school. There are many factors involved on so many different fronts, from the local administration to the state and federal level. It’s the state that provides funding and it’s the NCAA and feds that monitor Title IX and gender equity. Cal State isn’t planning on building an all-weather track out of its budget, that will be the focus of track boosters and supporters. There’s a greater track talent pool than water polo, and it will also aid the cross country team, and the number of athletes anticipated will help reach 50-50. Water polo players will have their scholarships honored for a year after the end of the program. And there’s a real possibility the school will have a club team as there are too few CCAA schools with the sport. This is not a new situation for Cal State. You might recall women’s tennis was dropped six years ago after the CCAA eliminated its involved. It’s never perfect, but give the athletic administration credit for its replacement plan.